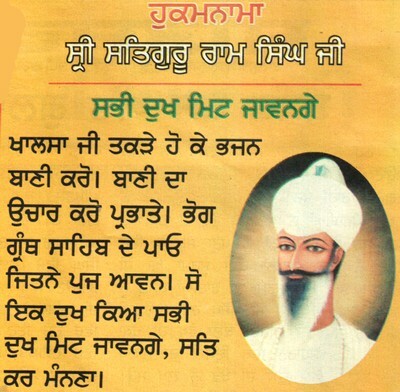 Satguru Pratap Singh Ji's birth was foretold by Satguru Ram Singh Ji - "that although I will not have any sons but Budh Singh (ie Satguru Hari Singh Ji, Satguru Ji's younger brother) will be bestowed with sons and his elder son will be a possessor of exceptional divine qualities". Satguru Pratap Singh ji was born in Bhaini Sahib on 9th March 1890 (corresponding to Chet Vadi Teej of 1946 Bikrami) to Mata Jivan Kaur Ji. Naming him Partap (Glorious) Singh, Satguru Hari Singh Ji declared "he will possess an amazing ecclesiastical personality and will be a great spiritual mentor and prominent luminary in the field of idealism". The young Partap Singh showed an amazing capacity to memorize and by the age of seven he could recite most of the scriptures and historical books by heart. It is said that He could memorize one Asht Padi of Sukhmani Sahib during a horse ride of one mile. Satguru Hari Singh Ji once had said, "Partap Singh does not require any teaching, He is born with all the knowledge." On 17th May 1906, Sri Satguru Pratap Singh Ji became the Head of the Namdhari Sikhs. He was just seventeen years old then. 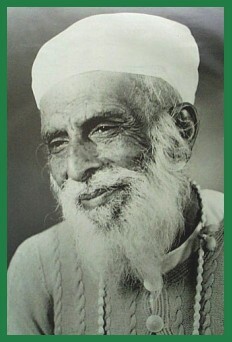 Under his dynamic leadership, the Namdhari movement gained momentum. Satguru Pratap Singh Ji became a powerful messenger of peace for humanity and an outstanding promoter of justice, truthfulness and courageousness. In 1909 he got married to Mata Bhupinder Kaur Ji, and two sons, Beant Ji (Sri Satguru Jagjit Singh) and Ballo Ji (Sri Maharaj Bir Singh Ji). The flame of struggle for independence lit by Sri Satguru Ram Singh Ji was kept burning by Satguru Partap Singh Ji till the country achieved its independence. He decided to give support to the Congress party because of the ideological similarities in achieving the goal of Independence. Satguru Ji's love and devotion to his country aside, He was on the other hand fully committed to his religion, and was not willing to compromise on any basis where the doctrines of his revered religion were in question. He had great love for animals and immense talent for horse riding. His cows and buffaloes bagged numerous prizes in competitions throughout India. Similarly his race-horses earned immense pride on the Indian racecourses, winning many prestigious prizes. He abolished the dowry system, which was crippling the Sikhs and made the marriage ceremony as simple as possible and affordable to the masses. The mass marriages system was started in various religious congregations. Sri Satguru Partap Singh Ji was a great lover of Indian classical music. The practice of singing in praise of God started by Guru Nanak himself and reached its climax in the time of Satguru Partap Singh Ji. He always advocated singing Gurbani in the same Raga, in which it had been originally composed. He established ‘Namdhari Sangeet Vidyalaya’ at Sri Bhaini Sahib to create talent amongst the youngsters. By virtue of that the Namdhari world now boasts a young generation of classical music maestros whose proficiency in playing various musical instruments is second to none. In order to promote close co-operation and understanding of different sects, he organized ‘Gurmat Sangeet sammelan’ in 1933. Eminent musicians from different parts of the country thronged the holy place of Sri Bhaini Sahib to participate in the Sammelan. Thereafter organization of such functions became a regular routine. He started the practice of ablution and purification (Such Sodh) and inspired his disciples to lead a puritan life. In 1940, Sri Satguru Partap Singh Ji laid down the tradition of meditating on the Name of God (Naam Simran) for one hour in the afternoon, recite Bani and attend in religious assembly to gain inner strength. Satguru Partap Singh Ji played a vital role in the passing of The Sikh ‘Anand Marriage Act’ in October, 1909. At the Holla moula fuction of 1921 at Mukatsar Satguru Pratap Singh Ji formed the Namdhari Darbar. The 33 members of this darbar were bestowed the responsibility to keep the Namdhari religious, social and political movement alive. It was to make contact with other political parties and deal with various official works. Maharaj Gurdial Singh Ji was appointed the first Chief of the Namdhari Darbar. The Darbar continues to function even today. Under his powerful perception and personality the British eventually succumbed, and had to remove all restrictions imposed on Bhaini Sahib on 23rd May 1923. His stand against the British kept on with various meetings at Malerkotla and other key towns. The Congress annual conference at Lahore on 31st December 1929 was very significant which was to pass the resolution of self rule, but was boycotted by Baba Kharak Singh and some sects of Sikhs but Satguru Partap Singh Ji along Mata Jeewan Kaur J and his contingent of Sikhs supplied one hundred horses and supplied food for millions of agitators thus making the procession a most significant and historical event in the Indian History. The State Peoples Conference was held in February, 1939 at Ludhiana. Satguru Pratap Singh Ji personally participated in the procession alongside many political leaders including Pandit Jawahir Lal Nehru and Dr. Rajender Prasad. After the State Peoples conference Pandit Nehru, Dr. Rajinder Prashad and other prominent personalities paid a visit to Sri Bhaini Sahib, where the Namdhari Shaheed (Martyrs) Paintings were exhibited. Pandit Nehru and the others were very impressed with the paintings and the historical facts behind each painting. Pandit Nehru became intensely emotional on learning how the Kukas were blown at Malerkotla, he could not stop tears coming out of his eyes. The martyrdom of Namdhari Sikhs and Satguru Ram Singh Ji's non-violent fight against the British rulers was finally homed into his heart. During the Second World War, the British officials approached Satguru Partap Singh Ji to allow the Namdhari Sikhs to join the army. Satguru Partap Singh Ji refused to consent to their request with the remarks “Our tenets of belief and political approach are opposed to each other. You have desecrated Sri Bhaini Sahib for which you cannot be pardoned. You are wasting the wealth of our country on unwanted wars”. Satguru Ji was one of the first individuals who made serious attempts to bring together all the different Sikh factions, as well as unity between Hindus, Sikhs and Muslims. The 'Sri Guru Nanak Naam Leva' Conference was held in 1934 and this was to consolidate the discordant Sikh community much closer to each other. This achievement was a milestone in history of Sikhism. In 1943, under the chairmanship of Seth Jugal Kishore Birla the Hindu-Sikh Unity conference was held at Sri Bhaini Sahib. Later 'Hindu, Sikh, Muslim Unity' conference was also held and proved to be a major success. 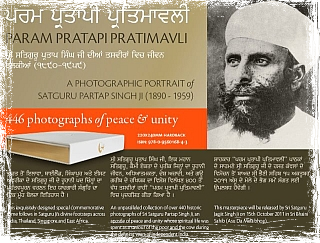 Satguru Pratap Singh Ji foresaw the catastrophe which would unfold with the partition. He acquired 19,890 acres (bighas) of land in District Sirsa in January, 1947 prior to independence. After independence the Sikh refugees from Pakistan, were provided them shelter, food, clothing and all other amenities. He also distributed the acquired land and money at Sri Jivan Nagar. This region of Sri Jivan Nagar is now one of the best agricultural areas in the district. Satguru Partap Singh Ji had always been longing for early reappearance of Satguru Ram Singh Ji as promised by him. For accomplishment of this sacred objective, he started continuous meditation of Naam Simran (Vamis) at Sri Bhaini Sahib in 1933 and at Sri Jiwan Nagar in 1947. These Varni’s are continuing (Naam Simran) without interruption till today. The modern co-operative farming and Panchayati Raj is a developed form of tradition set by Satguru Ji. He always gave prominence to the Panchayats, he advised the Namdhari Sikhs not to go to the courts, and get their disputes settled by their own Panchayats. Other than the countless visits to different parts of the country, he paid one visit to Singapore, four to Africa and twenty-two to Thailand. In fact, real religious, cultural and social stability was established amongst the Sikhs during the period of Satguru Partap Singh Ji visits abroad. He showered his virtuous blessings on the suffering humanity and redeem them of woes and worries. Satguru Ji was always in favor of banning cow slaughter in India. His devotion to this cause was illustrated when in 1937, the British government decided to open butcheries equipped with the modern machines. He prayed to the Almighty through a grand havaan Yug. For 14 days, five hundred sikhs chanted Chandi-Di-Var composed by Sri Guru Gobind Singh Ji 125,000 times. With the completion of the grand Havana Yug the British government, announced the cancellation of their plan to open the slaughter house. Such was Sri Satguru Partap Singh Ji’s spiritual supremacy. Satguru Pratap Singh Ji's generosity was unsurpassed. When refugees fled Pakistan after independence Satguru Ji provided them shelter, food, clothing and all other amenities. He distributed agricultural land free of cost to a huge number of landless tillers. His Holiness Sri Satguru Partap Singh Ji always gave a warm welcome to guests and showered his pious blessings upon them and when Dr Rajindra Prasad went to him, Satguru Ji gave him 500 yards of Khadi, 100 maunds of wheat for the earth- quake sufferers of Bihar. In 1954-55, when Pandit Nehru visited Sri Bhaini Sahib, Satguru Ji gave him 200 bags of rice for the draught stricken people of Bengal. In 1956, he distributed food, and clothes to the flood stricken people of Punjab and other part of the provinces. The weekly Satyug paper having started in 1920, the means of communication and publicizing the activities of the Namdhari freedom struggle was now available. Maharaj Gurdial Singh Ji, the youngest brother of Satguru Partap Singh Ji played a key role in publishing the sufferings of the Namdhari Sikhs. Sant Nidhan Singh Ji Alam and Sant Inder Singh Ji Chakravarty were the other notable literary figures, who joined hands with Maharaj Gurdial Singh Ji in writing and publishing the Namdhari History. This process of writing attracted writers like Sant Taran Singh Vehmi, Sant Kalah Singh, Chanda Singh, Bishen Singh Historian, Master Nihal Singh, Pritam Singh Kavi, Pritam Singh Panchi and many others. As a result of their research, many a notable books are now available for the readers. Satguru Pratap Singh Ji left for his heavenly abode on 22 of August, 1959. Under the patronage of Sri Satguru Partap Singh Ji , who after comprehending the antagonism and strife amongst the Sikh factions, inaugurated this conference at Sri Bhaini Sahib on the 13th October 1934.to constitute harmony and entirety in the Sikh Panth. The President of this memorable conference was His Holiness Bhai Arjan Singh Ji Bagria. It was attended by the most eminent personalities of the Panth, including Sir Sunder Singh Majithia, Principal Jodh Singh Ji and Bhai Sahib Sardar Bahadur Bhai Kahn Singh Nabha. The Namdhari Darbar welcomed, Nirmal Mahan Mandal, Chief Khalsa Diwan, Udasin Mahan Mandal, Both Akali Parties, Gargajj Akali Diwan, Panch Khalsa Diwan, Buddha Dal Nihang Singh, Seva Panthi, Adan Shahi, amongst many other, with open arms. The main agenda of this conference was to create harmony and unity amongst those Sikh factions who believe in the doctrines of the Holy Sri Guru Granth Sahib and the Holy Sri Dasam Granth. "This conference implores all the leaders, saints, lecturers, journalists, minstrels, and all other responsible persons to sermonize the essence of their belief without violating and defaming the principles of any other sect." "I am sure that all the congregation will approve of me when I thank Sri Maharaj Partap Singh Ji, who made this tremendous effort to bring us all on one platform and like the beads in a string tried to thread us. Let us all corroborate that we can live up to His expectations. In the end I thank all the members of the Namdhari Darbar who made us most welcome and instituted this historic conference." Sri Satguru Partap Singh Ji was of the conviction that all those organisations who believed and preached the teachings of Guru Nanak were the miscellaneous types of flowers adorning the same garden. All these organisations have the right to sermonize according to their own methods. Antagonism arises only when one sways from the real doctrines of unity & religion. "These ten Gurus are also ours and without including them we cannot perceive twelve." His Holiness Sri Satguru Jagjit Singh Ji endorses the release of PARAM PRATAPI PRATIMAVLI during Asu Mela 2011.